May the grace of splendour touch your heart when you meet Aglaia. What a nice name Aglaia. The word is derived from greek mythology, where Aglaia (pronounced ə-GLIE-ə)represents beauty or splendour, and is one of the three minor goddesses or graces. The far north of Queensland has some 12 species of Aglaias, and I hope to see them all sometime! 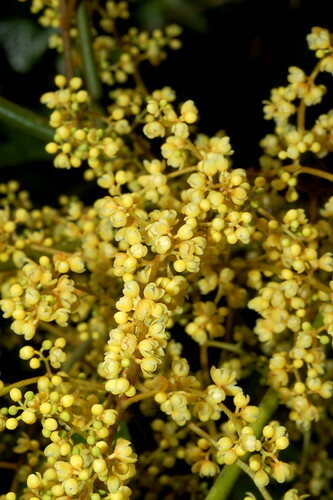 Aglaia sapindina is known as the Smooth fruited Aglaia, and for good reason – the bright orange fruits appear shiny and smooth. 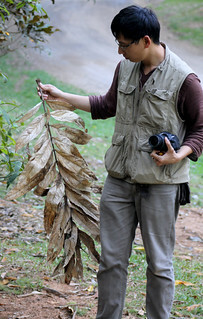 The leaves also APPEAR smooth as well, which is quite interesting for a member of the Aglaia genus. Most other Aglaias are well-covered with dark hairs or scales on all young shoots and leaf undersides and also fruits, particularly Aglaia meriodionalis which I have written before. 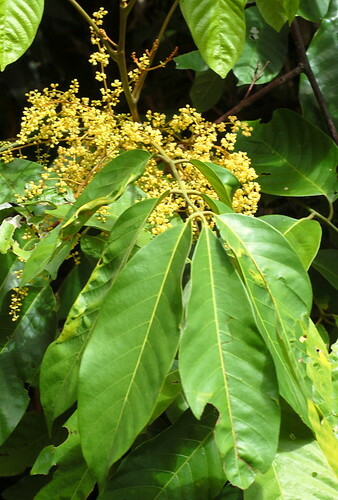 Neverthelss, if you look closely enough, you will find that Aglaia sapindina has a few brownish hairs or scales here and there on the underside of the leaf, and also on the developing leaf buds. Without this close examination, it is easy to mistake this tree for a Sapindaceae, which has a similar gist (But of course, note that instead of a pin at the end of the compound leaf, Aglaia has a terminal leaflet). And the flowers, well they are a glorious beautiful golden yellow. With no shame of being repetitive, may the grace of splendour touch your heart when you meet Aglaia. 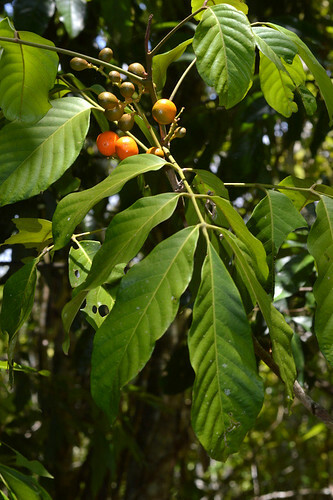 This entry was posted in Habitat - Rain forest, Lifeform - Trees & Shrubs, Meliaceae (Mahogany family) and tagged Aglaia, Aglaia sapindina, Boodyarra, Meliaceae, scales, Smooth Fruited Aglaia, tropical botany. Bookmark the permalink.